1777 is a pivotal year in the United States. The Revolutionary War has long since begun, with no end in sight. George Washington and his untrained militia struggle to survive. The thirteen states are torn apart by politics. 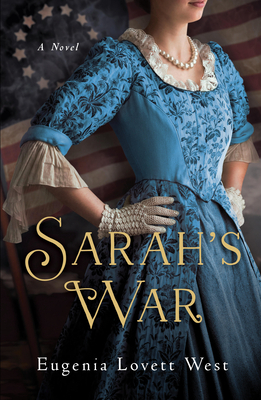 Amidst all this chaos, Sarah Champion--a beautiful young Patriot and parson's daughter whose twin brother was killed in the Battle of Long Island--is sent from rural Connecticut to live with a rich Loyalist aunt in Philadelphia. There, she is plunged into a world of intrigue and treachery. She spies on British officers enjoying festivities in winter quarters. She goes to Valley Forge with information about a plot to kill Washington. As the war drags on, Sarah digs deep for the strength, courage, and wits to overcome the numerous deadly threats she faces, driven on by her determination to realize one dream: being part of the efforts to form a new and independent country.